The Tigress, (T-39) spotted with her 4th litter! Ranthambhore| Two tiny new-born tiger cubs were spotted with their mother (T-39) in Ranthambhore Tiger Reserve, situated in Sawai Madhopur district of Rajasthan. Today in the morning safari, the great mother (T-39) who is well known as Noor was spotted with her two new born cubs at zone no.1. The Tigress, T-39 , was sighted with her two cubs at Khariya Talai (water point) in the morning drive while she was spray marking and her tiny cute cubs were walking in the grass. As I reached at Khariya Talai (Water Point). I saw fresh pug marks on the track. I stopped for a while to observe foot prints, suddenly; one tourist from my canter spot the tigress far away while she was doing spray mark by raised its trail up on at a tree. Immediately, my canter drive Naved noticed one cub in the grass. 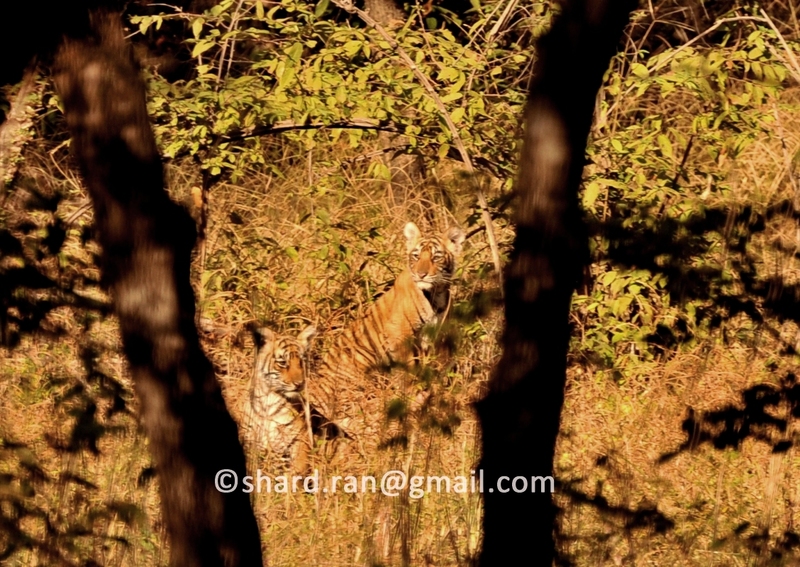 Therefore I concentrated at particular tiger spot area where I saw Noor and one cub. 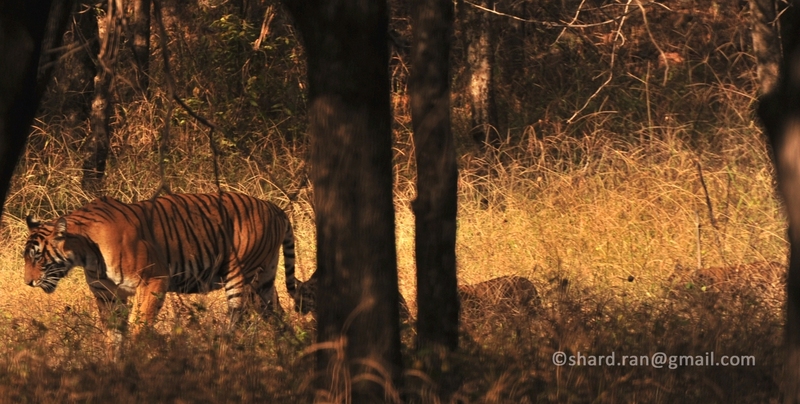 Now, the tigress (T-39) was walking very slowly-2 while one cub was away from her mother hardly 20 feet in the grass. As the drive started the canter, we noticed one more cub that was standing in the grass very far away from the mother. They were walking towards top of the hill inside in the grass and bushes. After few minutes later the mother and her two cubs disappeared in the bushes. Whole action was completed very quickly. We hardly got sighting for few minutes. We really did not have any time to click a camera. But, it was great and wonderful day; we were lucky to spot Noor with her two new tiny cubs. The new born cubs should be around 3 or 4 months old. It is the 4th litter of Noor! Great mother! 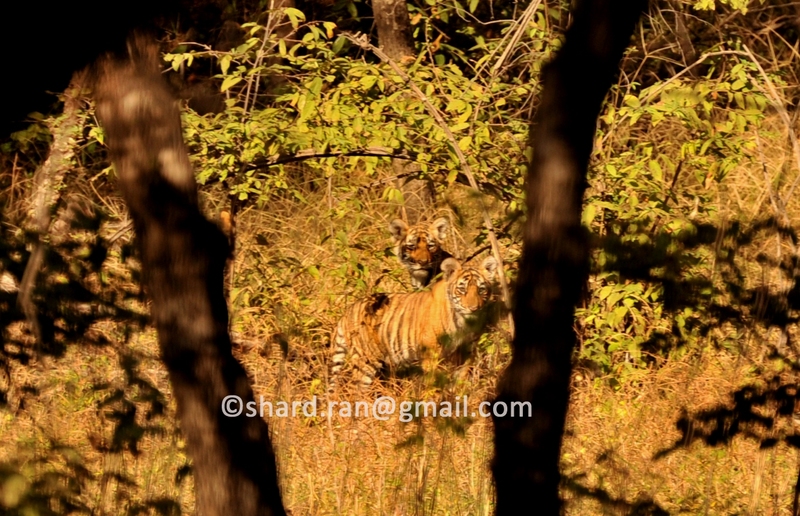 Later, in the evening drive, T-39 was sighted with her 3 cubs at same spot ( Khariya Talai) by the nature guides again . So, it is wonderful news that Noor delivered 3 cubs in the 4thlitter. Thank you very much , great mother of Ranthambhore Tiger Reserve. 3 tiny new cubs following her Mom,Noor. T-39 is the dominant tigress of this territory including zone no. 1,2 and 6. She is about 7 years old tigress .She shares her territory with dominant male tiger, T-57 ( Singhst) . Therefore, Tiger, T-57 should be the father of new cubs. 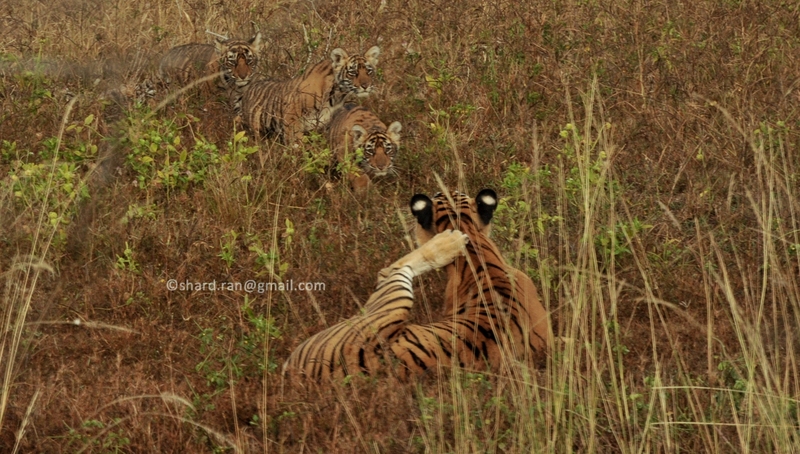 Earlier, the tigress, T-39 had given birth to three litters. She had given her first litter of one male cub as Sultan/T-72 father by T-24, Conservator in 2012. The first litter was spotted on Monday 21 May 2012 by nature guide Pankaj Jain. She gave her second litter of two male cub’s father by T-24, Conservator. 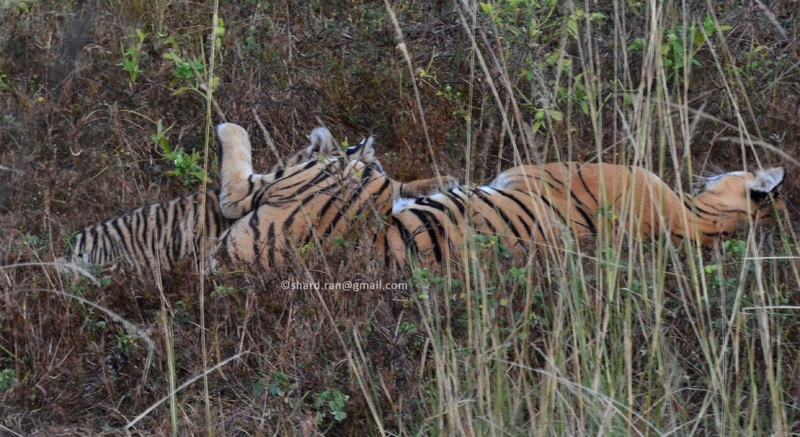 The second litter was spotted first time on 28 Wednesday May 2014 by Ranthambhore wild life Photographer, Aditya Singh. The third litter was spotted in camera trap on March 2016. But unfortunately they were not survived for long time and we did not get any chance to see them. It was really very sad for us. It is the 4th litter of Noor. No doubt, she is the Great Mom from Ranthambhore Tiger Reserve. God bless them! We all nature guides respect her by our heart! Great news and wonderful day for the visitors of zone no.1. Total 14 new tiger cubs at Ranthambhore Tiger Reserve: In present time 14 new tiger cubs are surviving in the reserve. T-60 has 3 cubs, T-61 has 2 cubs, T-63 has 2 cubs, T-41 has 2 cubs, T-73 has 2 cubs and T-39 has 3 cubs. In one incident, a tigress was reported at Helipad area near the main entrance gate, “Ganesh-Dham” in the morning safari. She stayed at Halipaid whole day. She came out from the park in the morning time and went to the park at evening time. It should be T-83. It’s not a good sign. God bless Her! 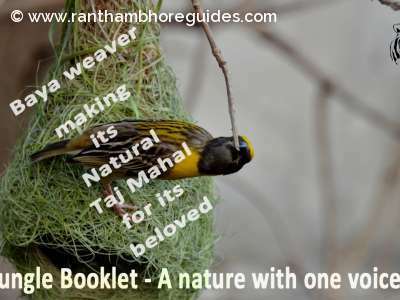 Ranthambore Tiger Reserve, which at present is home to around 60 tigers, was declared as Sawai Madhopur Wildlife sanctuary in 1955 and in 1973 it gained the protection of `Project Tiger`. It got the status of National Park in 1980. Great news from Ranthambhore! Thanks for sharing it with us ! she is the Great Mom from Ranthambhore Tiger Reserve. 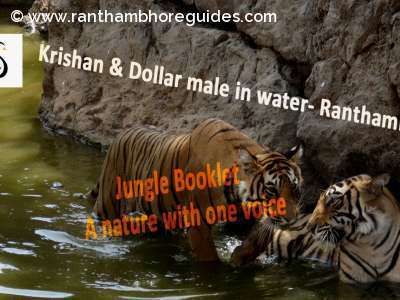 It is fantastic news from Ranthambhore Tiger Reserve. At least, Noor seem good with her cubs. After shifting T-24 from Ranthambhore, She looked so disturbed. Fantastic news! great day! and wonderful sighting , Big cheers ! It's really wonderful news from Ranthambhore Tiger Reserve. God bless them!